Who Believes that education is everything and wants to provideservices to the whole education spectrum with their projects andaim to create a difference. 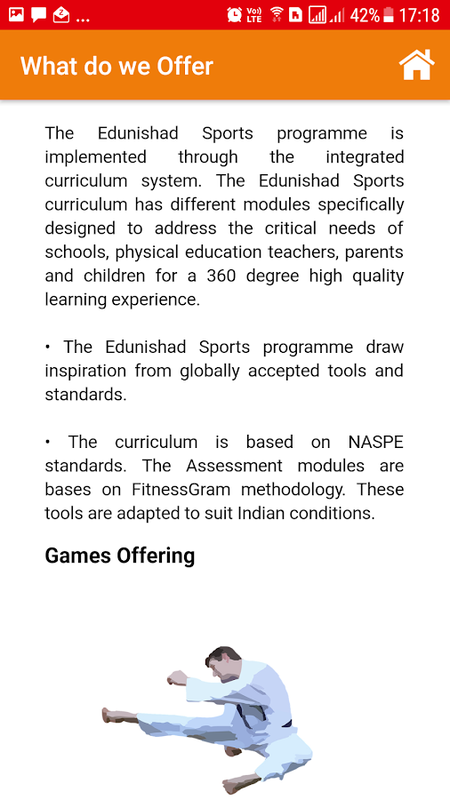 Edunishad works with schools toimplement a best-in-class Physical Education & Sportsprogramme. 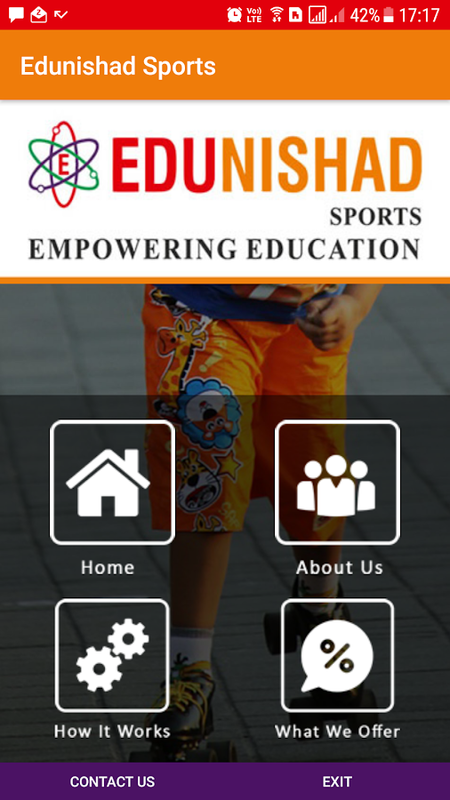 The programme is designed to offer the same rigor insports and physical education as in academics. This ensures thechildren learn holistically through physical activity and sports inaddition to helping children improve their health and fitnesslevels dramatically. All India Memon Jamat Federation (AIMJF) was established in theyear 1971 as an Indian umbrella organisation in order to unite allHalai Memon Jamats, Organisations, Institutions and Associations.The purpose of the AIMJF is to act as the central Memonorganisation representing the entire Memon community throughoutIndia, promoting the advancement of Education, Health, Housing,Economic Upliftment, Unity, Welfare and Well-being of all Memons,in all aspects of life. Valak Halai Memon Jamat, Mumbai, was amongst the first few toinitiate the ladies' committee in 1991, under the guidance of ourformer President Mr. Haroonbhai Mozawala.Mrs. Gulbanubai H.A.Dhanani was selected unanimously unopposed as the President of theladies' committee. Since then, till date, ie. 24 years MashaAllah,she has continued to retain this honour. GAMCA – Mumbai is a Free of Cost “GAMCA / GCC SLIP DISTRIBUTIONCENTRE”, authorized by the Executive Board of the "HealthMinisters' Council for Cooperation Council (GCC) States",headquartered in Riyadh, Saudi Arabia. The “AUTOMATED GCCINTER-CONNECTIVITY PROGRAM” Generates / Issues the GAMCA / GCCReferral Slip for GCC Medical Check-up, on request, with RandomSelection of Any GCC Medical Centre for any person wanting toundergo the GCC Pre-employment Medical Check-up. Inspired by philosophy of Late Dr. A.P.J. Abdul Kalam, IGNITEDMINDS international school is created with a view to provide besteducation to young minds.Shaping young, tender minds is one oflife’s biggest challenges. While respecting traditional values, weat Ignited Minds believe that academic learning is most effectivewhen it is based upon active learning experiences, creativeproblem-solving and critical thinking.Our distinctive academicprogrammes and innovative teaching methodologies encourage studentsto develop critical-thinking and learn through enquiry and reason,to exchange thoughts and ideas, to develop key personal and socialvalues, to take ownership for his/ her choices and to set goals torealize their own unique potential.We at Ignited Minds aim toempower our students to grow as individuals with strong opendiscerning minds with an international perspective, preparing themto make a mark in the global village – the world has come to betoday.An institution built on the dream to honour young people bygiving them an environment to grow intellectually, artistically,athletically and morally. At Ignited Minds we impart learningthrough a series of classes, sports, extra-curricular activitiesand special events.Our students are guided by qualified teachersand scholars who in their own way are also counselors and aninspiration. At Ignited Minds, education is designed on abroad-based curriculum with the goal to ignite our nation's youngminds. We believe in creating an environment where students alsolearn from their peers and through friendship.To sum up, weEnthuse, Enlighten and Empower: The three strong pillars thatdefine who we are, our beliefs and our commitment towards growthand focus. We here at The All Goa Memon Jamat, dream to empower our membersthrough financial stability and socio – economic development bybeing a barrier between their obstacles and also by bridging thegap in between their achievability’s and their goals.Our vision isnothing less than realizing the full potential of our Youths todrive a new era of development, growth, and productivity.We alsoaim to make our Youths self-dependent, efficient and responsibletowards their families as well as their community by encouragingthem through our awards and recognition ceremony and also byhelping them through financial and social measures to ourcapabilities. A grand function of award distribution was organized by Huda SocialFront & Huda International Magazine on 17th May 2013 at NehruCentre-Worli, Mumbai (India). Mr. Iqbal Memon Officer was honouredwith a prestigious award ‘MUKHAIYER-E-QUAM’ (Award forPhilanthropy) by MR. TARIQ ANWAR – CENTRAL AGRICULATURAL MINISTERGOVT. OF INDIA.He was adjudged for this award considering hissocial services and dedication in various fields i.e. maintainingcommunal harmony; he has been attached with various social,religious and political organizations to benefit the backwardsection of society. He always leads from the front during therelief work of any disaster i.e. flood, communal riot, accidentsetc. whenever, any kinds of assistance is required to anyindividual or to community he is always ready to come forward andsolve the problems by communicating with higher authorities. He isserving several organizations in various capacity i.e. president,vice president, secretary, treasurer, member, editor etc. He istrusty of various foundations/orphanage. He has been working withnumerous national and international social organizations. He hasvisited all over India to attend the meeting of various socialorganizations for the cause of the community. He has already beenawarded with number of awards for his social services anddedication for community. Alok K. Saksena, Auditing & Accounting, is established in Qatarin 2010 to provide auditing & accounting services in Qatar. Thefirm is specialized in the area of Audit & Assurance, Tax,Consultancy and Advisory. The firm offers a wide-range ofindustry-focused solutions. Since commencement of practice, thefirm is conducting Audits of several WLL Companies, Partnerships,Shareholding Companies and Banks. At present our audit sectorsincludes construction, trading, hotels, e-commerce, securityguarding services, Information technology, petroleum,manufacturing, travel agents & banks. Citizen alert is a news portal where news is delivered in acomplete newsy way. Here news is also delivered on the basis ofimmediacy and novelty, We dont scream and shout but we say... theinformation given is always crossed checked first and thendelivered. We believe in PRISTINE journalism. We’re presentlyworking hard on this website to make it stand ahead among the bestnews portal which can keep you up to date to every latest news,event and many more useful information. All the suggestions andqueries are welcome. "Odia Abhidhan" is an English to Odia dictionary. The interface isvery simple to use. The user needs to enter the English word orOdia word in the search box. This app will be really helpful forSchool Students to learn new words in English and finding theirproper meaning. The Odia Custom keyboard will encourage students totype Odia words and get the proper word meanings. The mainadvantage of this application is this requires one-timeinstallation, and afterwards can be accessed offline in the absenceof internet connection. The content of the app is in Hindi language. Chanakya was a greatscholar in ancient india. Chankaya wrote many books based oneconomics, politics and social life. His quotes are very famous,problem solving and motivational. This app consists of quotes ofchanakya. In this app There are 1000 quotes of chanakya. All quotesare in Hindi language. These quotes are based on following topics:Politics Human behavior Health Women Motivation Wellness prosperityetc. You can count on the largest sign language automatic translationplatform to take accessibility to everyone with the Hand Talk appyou can automatically translate text and audio to Brazilian SignLanguage (Libras), for free! This NEET 2019 Preparation Offline contains all previously BiologyPhysics Chemistry MCQ asked in NEET AIPMT till 2018. This NEET UG2018 - 19 MCQ App can be very helpful for your NEET AIPMT exampreparation. This application has several tests on previous yearpapers. By taking tests you can know your score. This NEET UG 2019AIPMT app is an offline app. So you can prepare for the examwithout internet connection. This NEET UG App size is very small soyou install this App without wasting much phone storage. Using thisNEET UG 2018 AIPMT preparation apps offline you can prepare forexam anytime anywhere. *After each Test, summary will be displayedindicating your marks and percentage. Start your preparation nowfor AIPMT.